Bhanu bhakta acharay did as great a work as that of prithivi narayan shah who conslidated the small states and formes a big nation . He devloped the common language of the people and helped to provide a strong literary foundation of nepali language . He was born in 1871 B.S. in Tanahun district at Rangha . He studied under the guidance of his grandfather , Shri krisna acharaya who was a sanskrit scholor. Once, he happened to meet a grass-cutter who was called sete . Sete told him that he had a plan to dig a well in the village to provide water for villagers from his earning of grass-cutting .He was inspired by sete to do something good for the people .He thought that if that poor , uneducated , grass-cutter thought of posterity , why shoudn't he do something too .He resolved to translate the Ramayan into the language of the language of the common people so that everyone in his life time and also after his death might read and under stand it. At that time, the Nepali language wasn't developed much .The educated people used to write Sanskrit . It was Bhanu bhakta who wrote poems for the first time in the language of the common people .Moreover, the religious broks written in Saskrit were not allowed to read by lowborn people but only Brahmins .When Bhanu bhkta's Ramayan was published , it was not only the Brahmins and chhetries who read it. It also became the common possession of Magars , Gurungs ,kirates ,Newars and Tamangs who were unfamiliar with the great Hindu Epic . They all began to feel within themeselves the glory of Neapli nationality . Everyone began to took upon Ram with great respect Sita became a model of womanhood for all . Laxman became the idel brother and everyone began to dream of "Ramrajaya" . In addition to Ramayan , he wrote Ram Gita , Badhu Sikshya ,Bhakta Mala , Prasnottari and a number of short poems . He was a patriot . With the story of Ramayan in common language , he conveyed a message to the people against the Rana regime . He showed how Ram , after a long fight with Ravana could win Sita back . Similarly , the people could get ride of the harsh rule of the Ranas if they struggle together . He was imprisoned by the Rana rulers as well . In the prison , he wrote some satirical poems against the Rana officials. He has been called the " AdiKavi " (the first poet) of Nepali language . Although some poets like Subanada , Shakrit Ballav , Udayananda , Indirus Basunta sharma and Yadunath Pokarel had composed some beautiful poems in Nepali before Bhanu Bhakta , they didn't use words commonlyspoken by the people . They lacked originality and thus couldn't gain popularity. The works of he became so popular that even the illiterate ones began to recite his poems . Nowdays his poems are included in the course of study at all levels. Thus, he did the pioneering work in the field of nepali language and literature , leading the way to national identity and intergration . It was Bhanu Bhakta who gave a tongue to the nepali nation when it ahd no common medium of expreession . So , we regsrd him as one of our National heroes and celebrate "Bhanu Jayanti " on Asar 29 every year to pay homage to this great pioneer . The great king was born in gorkha on 27 th Paush 1779 B.S. 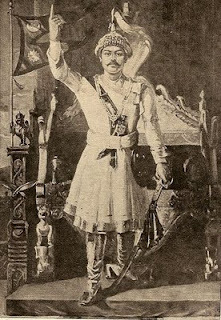 king Naranbhupl shah and queen Kaushalyawati were his parents . He asscended the throne of Gorkha in 1799 B.S,at age of twenty . In those days , Nepal was divided into small states , each ruled by a king .There were 24 Principlpalities in the Gandaki ergion , regonizied as "Chaubise Rajya". Kathmandu valley itself was divided into three kingdoms -Kathmandu , Bhaktapur and Patan. Beside, there were Bijaypur, Makanpur and Chaudhari in the eastern region ,There were numerous quarrels among the tiny rulers . There was no unity among the states . Prithivi naryan shah thought of coming conquering the ststes and unifying them into a nation .He conquered the kathmandu valley in 1815 B.S. and moved his capital from Gorkha to Kathmandu.Then he conquered some other states and laid the foundation of a greater Nepal. He was adso an able administrator , he gave advice to his follwers ans future rules of the country . These are populary known as 'Divine counsel ' (Dibya upadesh) .His famous bounlders " has become a guideline with regards to the foreign policy of the country . Arniko was a famous architect durning the reign at jay Bhimdev malla. At that time m,Kublui khan was the emperor of China. Arniko was also known as Balabahu . The emperor of China wanted to construct a golden stupa for his guru Pagspa , in Tibet,so ,he asked king Jay bhimdev malla to send some dexterity architects from nepal. in 1260 A.D. Jay bhimdev malla send a team of 80 architect to Tibet. Araniko was the leader of nepalese architects who went to Tibet . araniko was a talented architect . He built several Pogoda style memories in Tibet , in addition to the golden stup for which was invited . Pagspa was very much imprinted with Araniko . He introduce him to Kublai khan Araniko was warm welcolmed by Kublai khan . 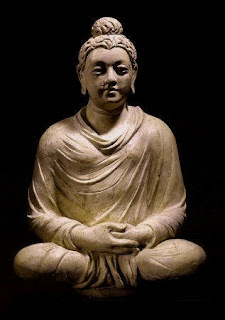 He made him one of the ministers of his court and confered the title "The controller of imperial studies".Araniko made all kindsof work of art in China and made China rich in art and architecture . He settle down in China . He married in China, first a nepali girl , and the eight mogolian girls according to the costom of China . At that time , there was a practice of marrying as many as 8 wives by the members of Royal court , he had eight daughters ans six sons. His sons , daughters and his disciples carried out tjhe works of Araniko. THey influenced the art and architectture of Japan ,Malaysia ,Mongolia and Indonesia ,etc. . Among the works of Araniko ,the white pogoda and the Archway of young Tai are still there is china which nsing the glogry of araniko .Hence , Araniko made Nepal known to other countries by this work of art and architecture . Nepal is a peaceful and beautiful paradise in the world . it is rich in culturul heritage , wonderful scnery , religion and other secter. Nepal is small country, it is lies in between in India and china . it is landlock country , so here are many famouse mountains, peaks ,fast fold rivers, and different types of wildanimals , birds and plants . it is small country but we can find three kinds weather in nepal , it is special part of neapl . beside,nepal is historical country . It has afertile sowil not only for the crops , vegetatains and naturul beauty but also for great people. It has extended many great people who made great colections in different fields . They have done great contributions for nepal . goverment of Nepal has declared such great people as National Heroes .Who lived in past and were famous for their great deeds are respected as National heroes of nepal .They are Gautama Buddha , Araniko , Prithivi Narayan shah and Bhanu Bhakta Acharya.